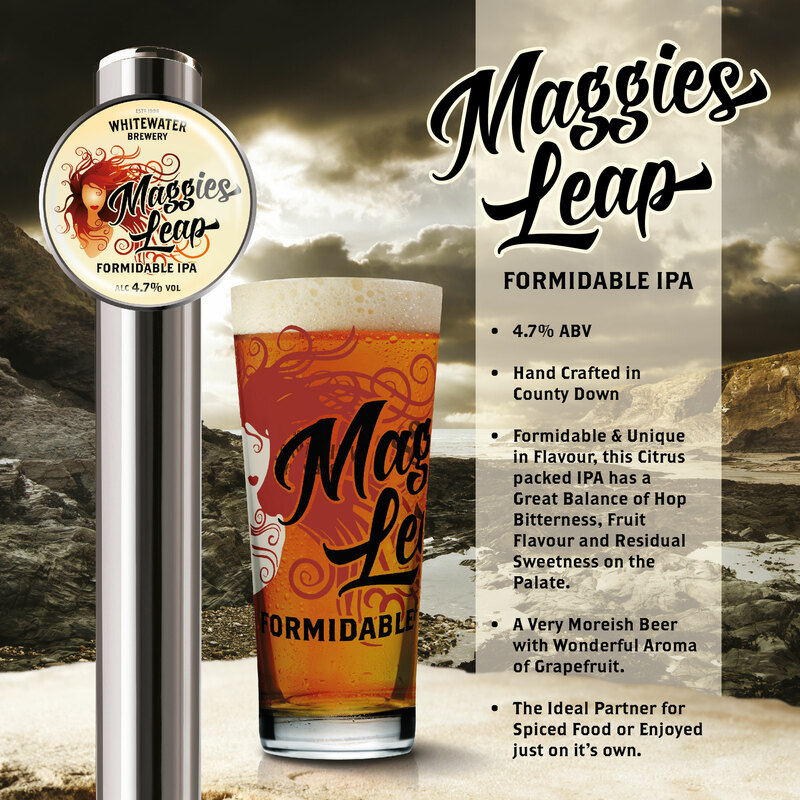 ‘Maggies Leap’, the latest craft beer to emerge from the Whitewater Brewing Co. Limited stable. Craft beers from the Kilkeel-based brewery are being showcased by the Hastings Hotels Group as part of its drive to promote locally produced food and drink. “Northern Ireland is famous for its excellent food and drink, and products from the Whitewater Brewery are already proving popular in the export markets. Love the beer, and the glasses are great design. Can you buy the glasses anywhere? Sorry about the delay in our reply, busy busy times here at the brewery. Great to hear your enjoying Maggies Leap !! The Glasses are available to purchase from the Brewery itself if you fancy a wee trip over we’re here Mon-Fri 9am – 4pm. Give us a bit of notice if yours planning to come over just incase we are out of stock at that moment. Hi I am in Ireland. Heading your way tomorrow Aug. 24. Still wanting anything Maggie’s Leap. Never heard back from you. Please reply.